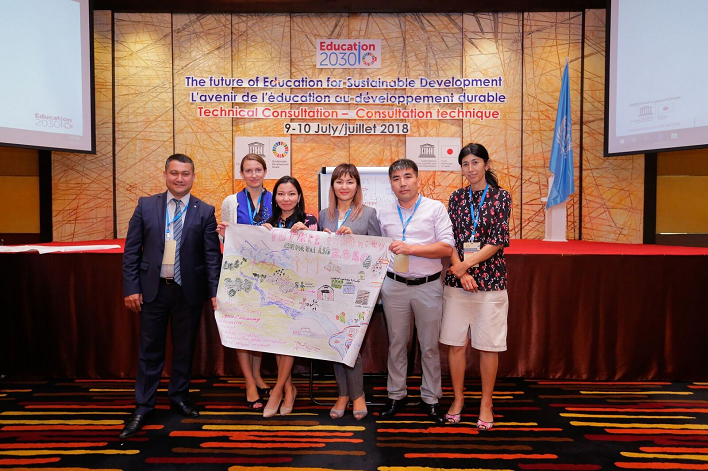 UNESCO Almaty Cluster Office participated in the Technical Consultation Meeting on the Future of Education for Sustainable Development on 9 and 10 July 2018 in Bangkok, Thailand. Over 270 participants from 116 UNESCO Member States and Associate Members gathered to discuss the future direction of governments and UNESCO in promoting Education for Sustainable Development (ESD). With UNESCO’s Global Action Programme on ESD (GAP) ending in 2019, UNESCO is preparing the future programme for ESD, to be linked specifically to the Sustainable Development Goals (SDGs). UNESCO Member States and Associate Members were invited to Bangkok to discuss a draft position paper on the future of ESD, prepared by UNESCO. 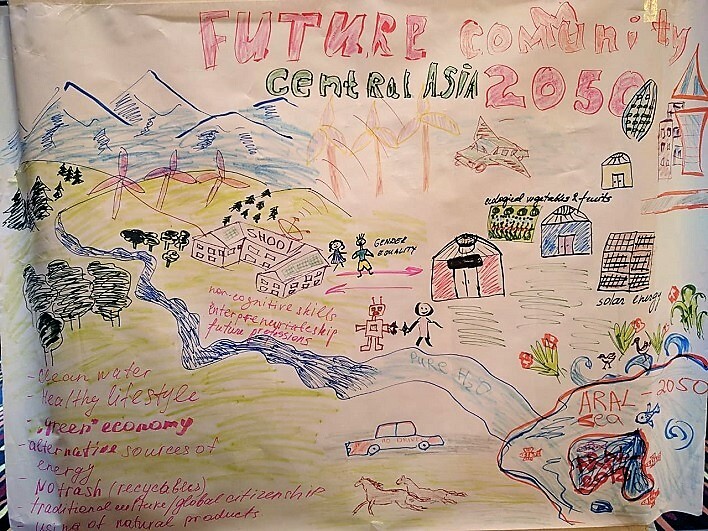 The technical consultation meeting provided room for reflection and discussion in different settings, such as town hall debates touching on themes such as the SDGs, transformative action and the technological future, a world cafй session, panel debates, group work and regional discussions. 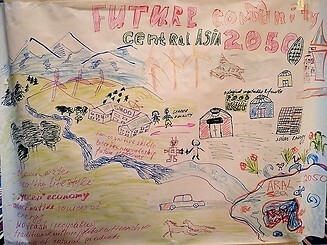 Central Asian group discussed the ESD future vision and proposed strategies to achieve this vision in Central Asia. An important theme was the role of community as a platform for ESD action. An inspiring example was presented by sustainability practitioner Ms Tomi Matsuba, who lives in the village of Omori, Japan. This village’s inhabitants practice a special sustainable lifestyle. The unique village, part of the silver mining area of Iwami-Ginzan, which is inscribed as a UNESCO cultural heritage site, has reinvented itself by exploring alternative paths to prosperity rooted in values of sustainability. Another panel debate addressed the challenging relationship between sustainable development and economic growth, and how education could help reconcile the two. Professor Arjen Wals, who holds the UNESCO Chair at Wageningen University, Netherlands, said: “For the economy to grow, people need to buy new things all the time, which leads to the depletion of natural resources and the creation of waste and pollution. Furthermore, the current growth paradigm reduces human beings to consumers”. The panelists agreed that a fundamental change in the way we think and act was needed, and that education must promote alternative values to consumption. The new ESD programme, to be developed on the basis of the position paper, is scheduled to take effect at the beginning of 2020, and to cover the period until 2030, in line with the target date of the SDGs.